Mama's Pizza & Pasta Indian Land offers Authentic Italian Cuisine, featuring New York Style Pizza with dough made fresh every day and hand-tossed to order. Choose from our Traditional Thin Crust Round, Sicilan Style Square (Thick Crust), 18" Round Gourmet Pizzas, Thin Crust Square Pizzas,16" White Pizzas, and more. 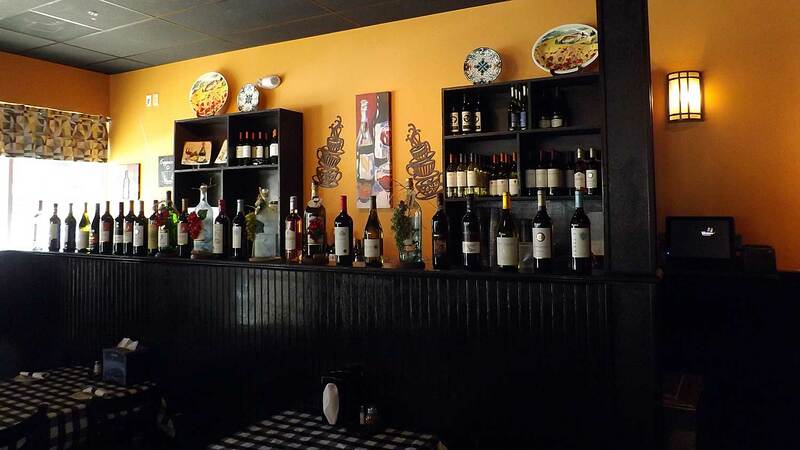 We also offer Authentic Italian Cuisine, featuring delicious Pasta, Calzones, Stromboli, Hero Sandwiches, Appetizers, Flatbreads, Salads, Soups, Seafood, Chicken, Veal, Sides, and a tempting array of Desserts. At Mama's, everything is made from scratch, including our home made Tomato Sauce. We have some great NEW Specials for you at Mama's! 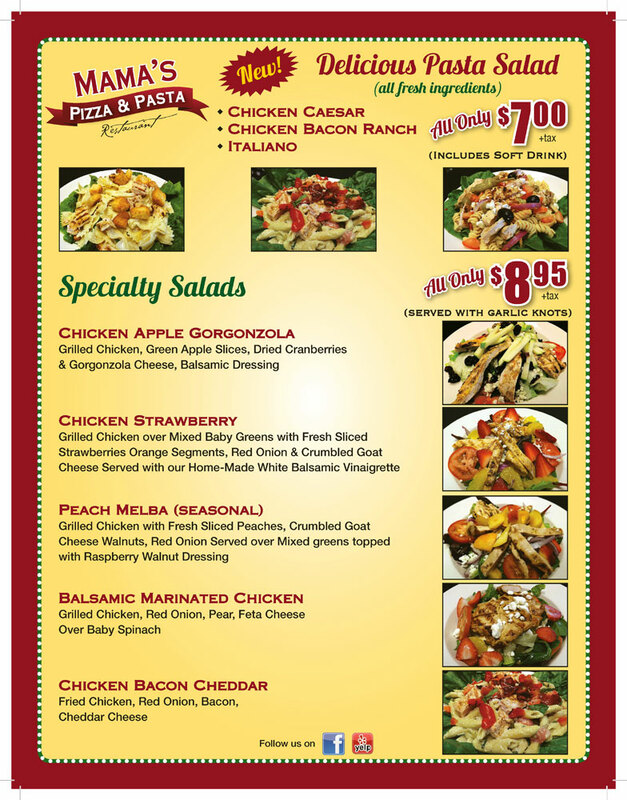 Our delicious Pasta Salads are only $7.00 each + tax and include a soft drink. Choose from Chicken Caesar, Chicken Bacon Ranch, or Italiano! 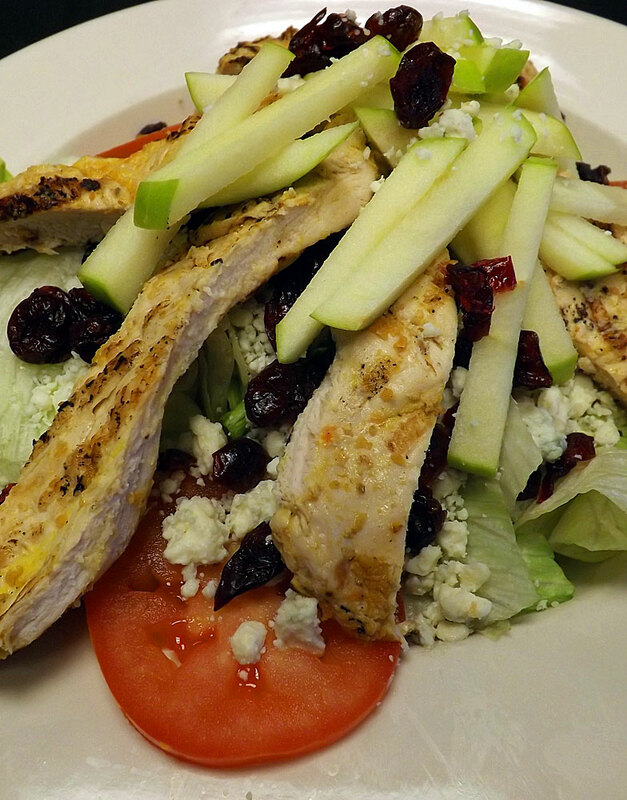 Our Specialty Salads are only $8.95 each + tax and are served with Garlic Knots! Choose from Chicken Apple Gorgonzola, Chicken Strawberry, Peach Melba (seasonal), Balsamic Marinated Chicken, or Chicken Bacon Cheddar. We also have our Everday Special Meal Deal, Daily Lunch Specialty Slice Specials, and more! And what meal at Mama's is complete without our wonderful desserts, like Tiramisu, Cannolis, and yes...that amazing Raspberry Cheescake you see at the top of this page?